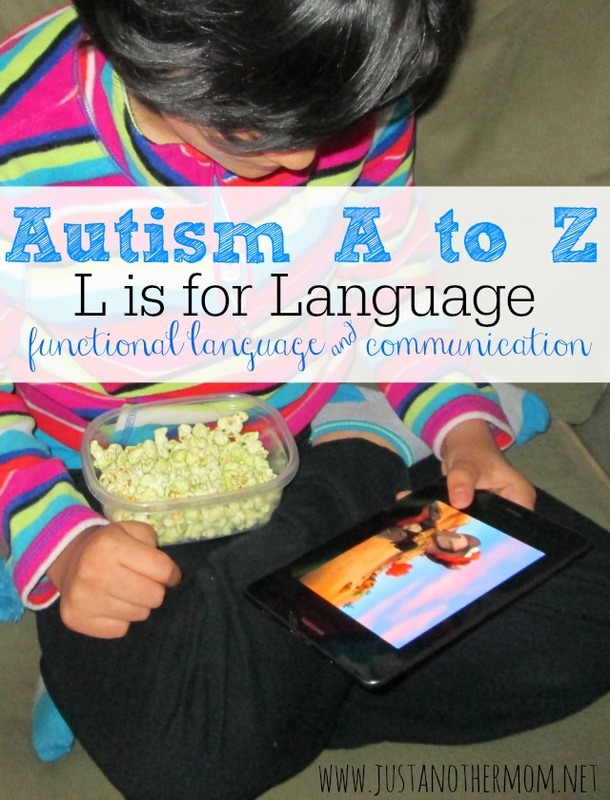 For the next part of the Autism A to Z series, L is for Language. Now, this could mean any number of things I know. It could mean the language of autism or the language of special education. But for purposes of this post, I want to use language in the sense of functional language and communication. In particular, I’ll talk about the language systems that Sweet B uses for her communication as she is non-verbal. I’ll also talk about language impairments. Above, Sweet B is using the tablet to watch Elmo. She does have a communication app on there as well, but the tablet is mostly for recreational purposes. At school, however, she does use an iPad as part of her communication. She is non-verbal and her main forms of communication are with basic sign language and PECS. This is how she communicates and it’s just one of a few ways that non-verbal individuals are able to communicate. Functional language doesn’t have to be complicated. It just has to be something that works in terms of communicating wants and needs. If it works for your child, great. If it doesn’t work for your child, keep experimenting until you find the right mix of whatever will work. The main purpose and goal is to find a communication system that works. What is a language impairment? As defined by IDEA: Speech or language impairment means a communication disorder, such as stuttering, impaired articulation, a language impairment, or a voice impairment, that adversely affects a child’s educational performance. If you think that your child might have a language delay, please see this informative article from the American Speech-Language-Hearing Association. This article talks about developmental milestones as it relates to speech and language and when your child should be meeting them.